Please select your option from the drop down menu! 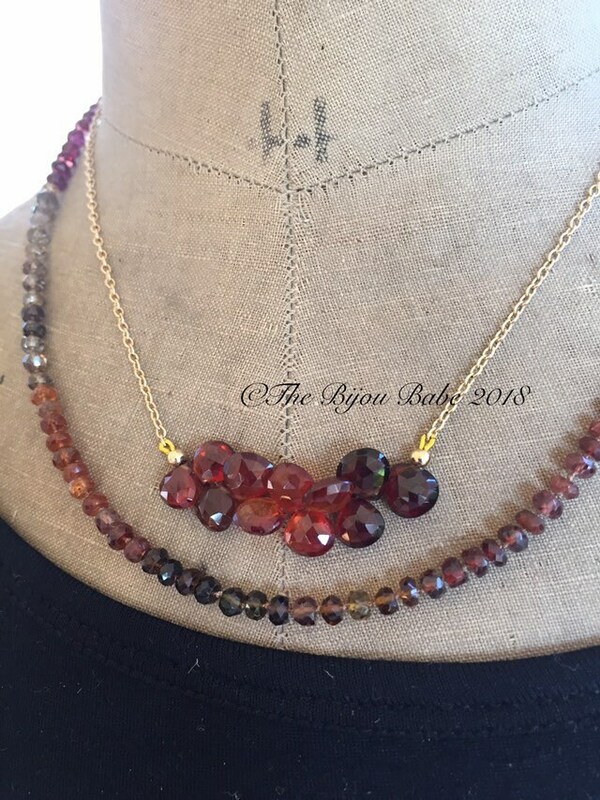 Two gorgeous pieces sold separately; one a multi gemstone necklace, hand knotted on silk, the other a group of tunduru sapphire briolettes in a delicate bar style. Wear them together for a stunning boho luxe look, or separately for a more minimal look. The tunduru sapphire briolettes are a warm orange color, and just gorgeous with their warm glow. 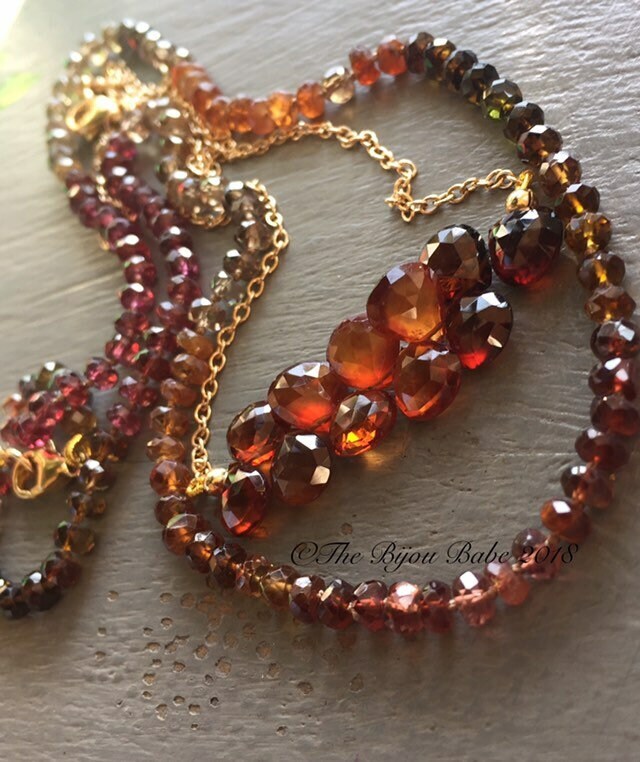 They are strung on professional beading wire, and attached to a 14kt gold filled cable chain. The length is 16" and closes with a lobster claw clasp. 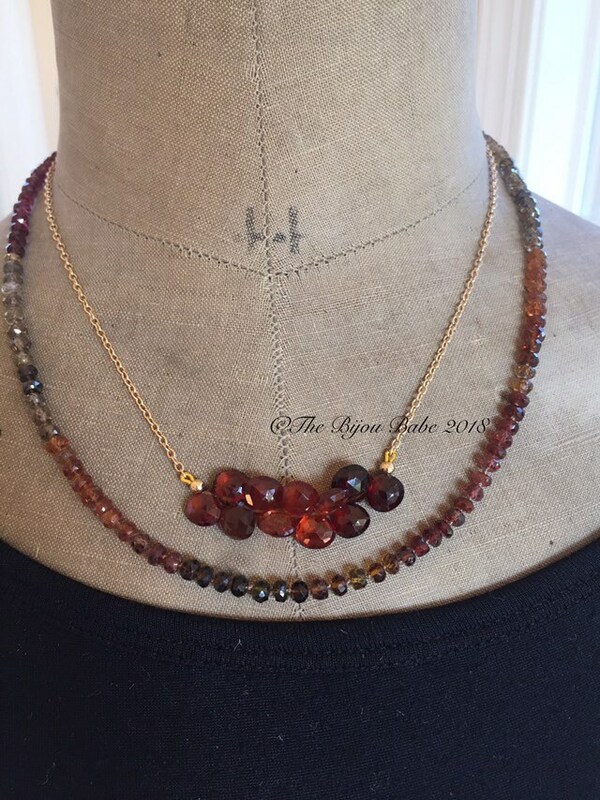 The hand knotted silk gemstone necklace features multi colored garnets and tourmaline in warm shades of orange, red, plum, and green. Knotted on beige silk, the necklace measures 18" and closes with a gold filled lobster claw clasp. Your necklaces will ship USPS Priority Mail with tracking in the US, please contact me for upgraded services for international shipping. The necklaces will be presented in a lovely gift box.